The foods and drinks we consume have an enormous impact on our bodies. From the size of our waistlines to lowering our risk of chronic illnesses like heart disease, stroke and cancer, our diets help to determine long-term health. 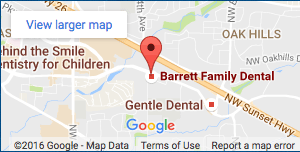 As a family dentist in Beaverton, Dr. Richard Barrett sees firsthand how what patients consume impacts not only their oral health, but their overall, as well. While certain foods – like red meat, sugar and fat – already carry the reputation as potential health hazards, researchers continue to discover new risks associated with what many people consume on a daily basis. Alcohol consumption already carries known risks – especially when consumed regularly and in high volume – but new data from researchers in the United Kingdom suggest drinking may also increase an individual’s risk of oral cancer. If the results of the study conducted by the Committee of Carcinogenicity are accurate, this new revelation may provide even the occasional social drinker a reason to cut back. According to the United Kingdom’s Chief Medical Officers, any level of alcohol consumption increases an individual’s risk of oral cancer. Researchers also determined that an individual’s risk of cancer increases in line with the more alcohol he or she consumes. In the wake of this revelation, the U.K. has instituted new guidelines regarding the consumption of alcohol. The new guidelines recommend limiting alcohol consumption to less than 14 units a week. This is roughly the equivalent of 6 pints of average strength beer – which typically contains less alcohol than most of the popular mircobrews enjoyed here in the Pacific Northwest -, but even meeting this recommendation would still carry an increased risk of cancer compared to a nondrinker. Previous guidelines recommended 21 units or less for men and 14 units or less for women. Researchers stated that while drinking any amount of alcohol carries some kind of health risk, staying within the moderate levels recommended by these new guidelines should help to reduce the risk of chronic disease in both men and women. The new guidelines also recommend against binge drinking the allotted 14 units. This amount needs to be spread over the course of an entire week and not enjoyed over the span of one or two nights drinking. Individuals who binge one or two times a week increase the risk of injuries, accidents and long-term illnesses, according to researchers. Researchers also stated that reports of alcohol consumption benefiting heart health only applies to women over the age of 55, and even then, the most significant benefit occurs when women limit their intake to about 5 units, or 2 glasses of wine a week. Overall, the study found that not enough evidence existed that justified drinking for health reasons. Alcohol is comprised of simple sugars, which every patients of Dr. Barrett should know can cause an increased risk of tooth decay and gum disease. It’s important that you remove the sugars found in alcohol from your mouth quickly to prevent plaque – a bacteria that sticks to the surface of your teeth – from using those sugar to cause permanent damage to your teeth. To lower your risk, make sure to sip on some water while drinking alcohol. Drinking water will not only help pace your alcohol consumption, it will also help remove sugars from your mouth. You also need to make sure you brush before bed whenever you’ve been drinking. If you have any questions about the effect alcohol can have on your oral health, feel free to ask your family dentist in Beaverton, Dr. Richard Barrett, during your next appointment.